Still riding as much as I can several times a week. October 11, 2014 Jeff B. 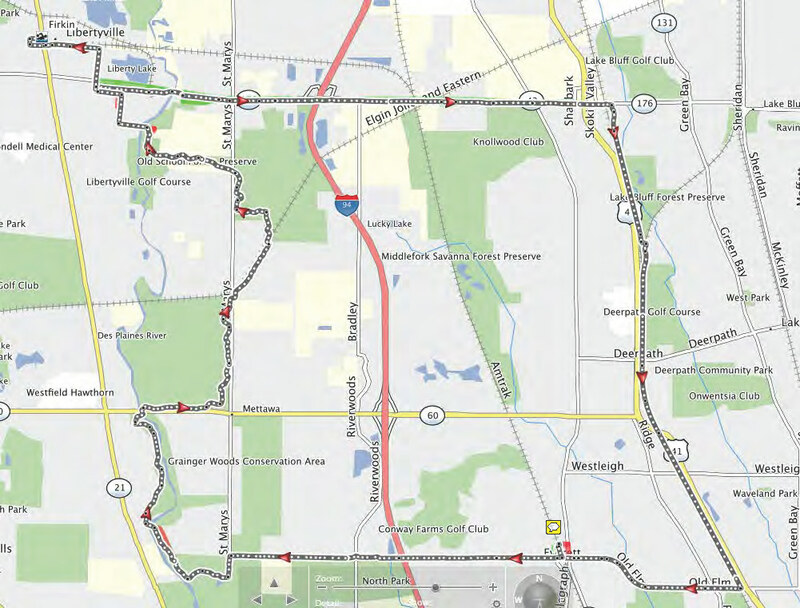 Our route for the day consisting of two 11+ mile legs in a loop beginning and ending at Lake Forest. Firkin’s in Libertyville is an outstanding gastro-pub with great food and a wide selection of brews to choose from. 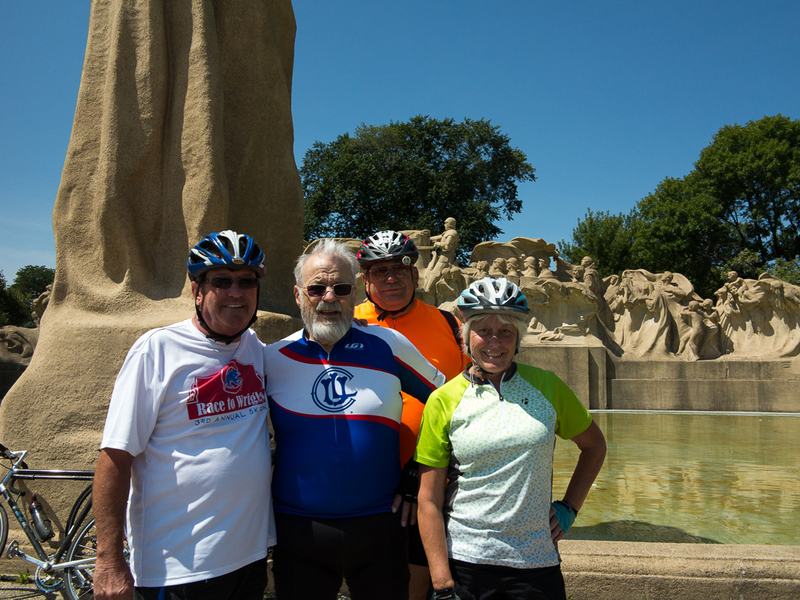 Our group of senior cyclers took the METRA to Lake Forest and rode a few local streets (Everett Road is a white knuckle experience if traffic is heavy) but did the rest of the trip on the well marked Lake County Bicycle Trail system. The map shows our route. As an added benefit, my daughter and two grandchildren live nearby and were able to join us for lunch. August 15, 2014 Jeff B. 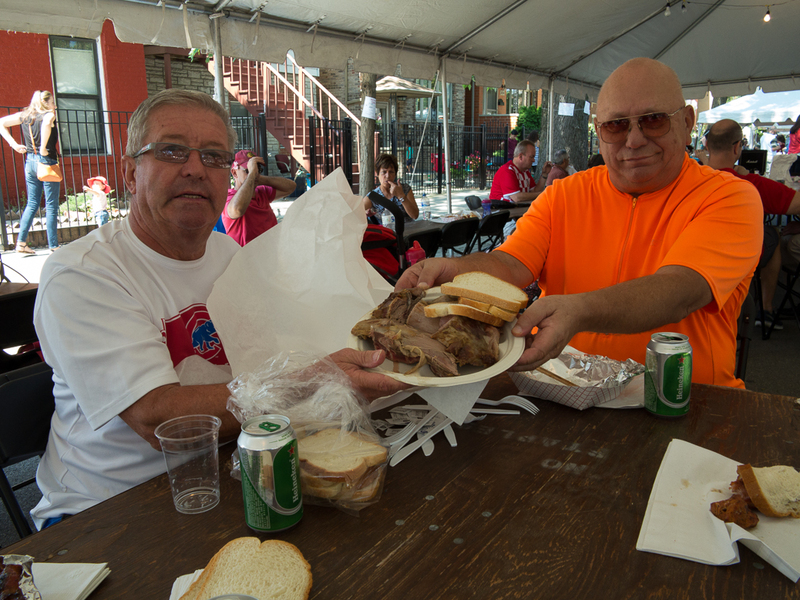 We had so much fun last year that we couldn’t pass up another chance to celebrate the Feast of the Assumption at St. Jerome’s at 2801 S. Princeton. 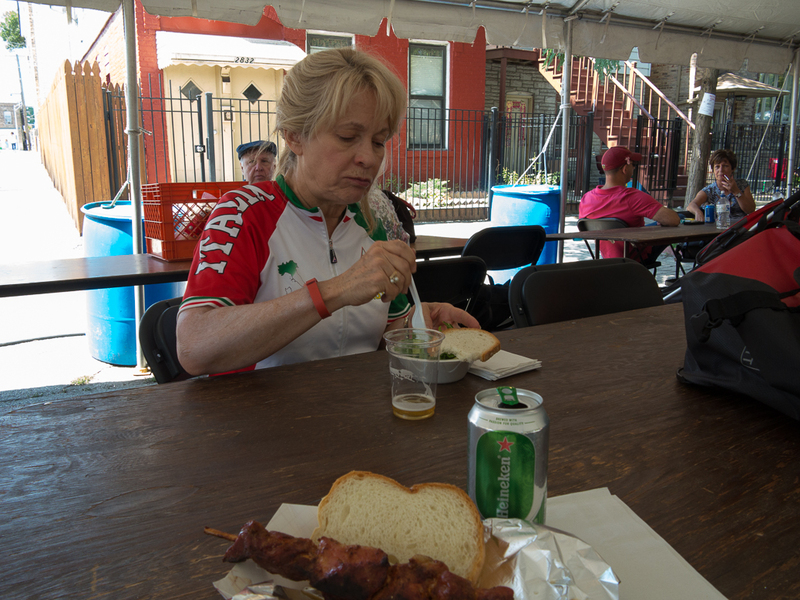 The trick is to get enough miles in at the beginning of the ride to feel like you have earned some of the things to eat and drink at the Fest. 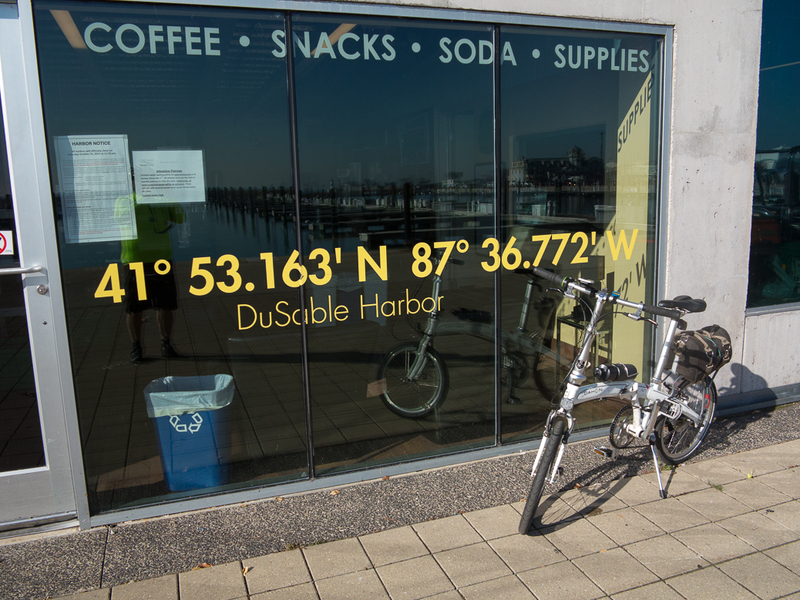 Our route took us from DuSable Harbor to the South Shore Cultural Center, a trip of approximately 10 miles and a halfway point. Time flies, or is it us? On the return side we cut across the University of Chicago to the Lorado Taft Fountain of Time. This is one of my favorite sculptures and a nice way to transverse the University of Chicago before heading either to Hyde Park or head north via Drexel Boulevard. 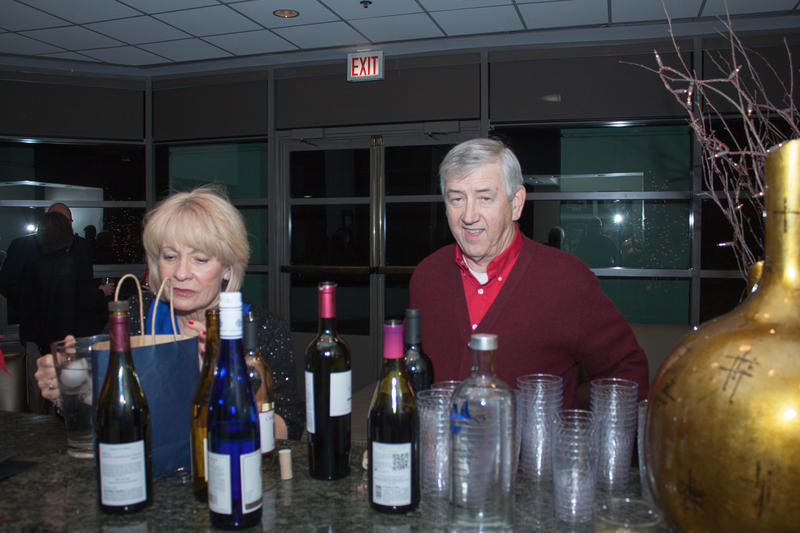 Arriving at St. Jerome’s you are immediately faced with a quandary: eat or drink first. 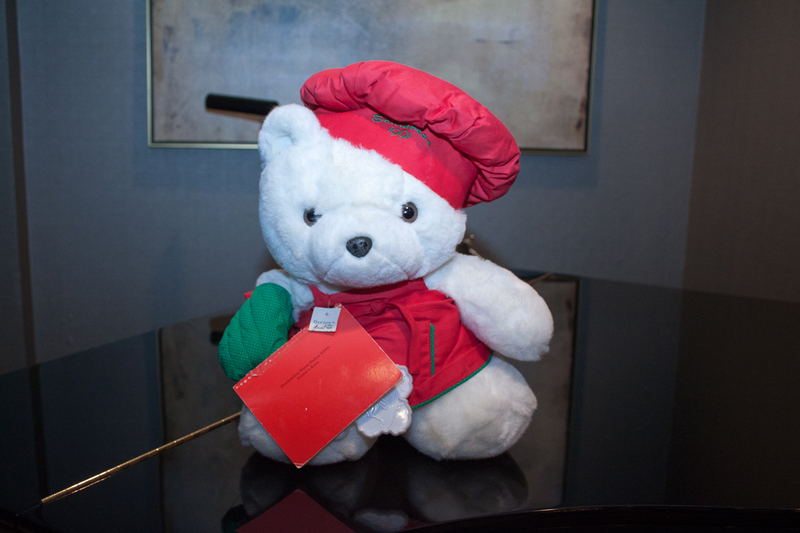 It’s easy to pass the fried dough on the way to decide what to eat, be it a kabob, lamb, and/or a dinner plate. The pizza, hot dogs, etc. are nothing special, although they do look good. 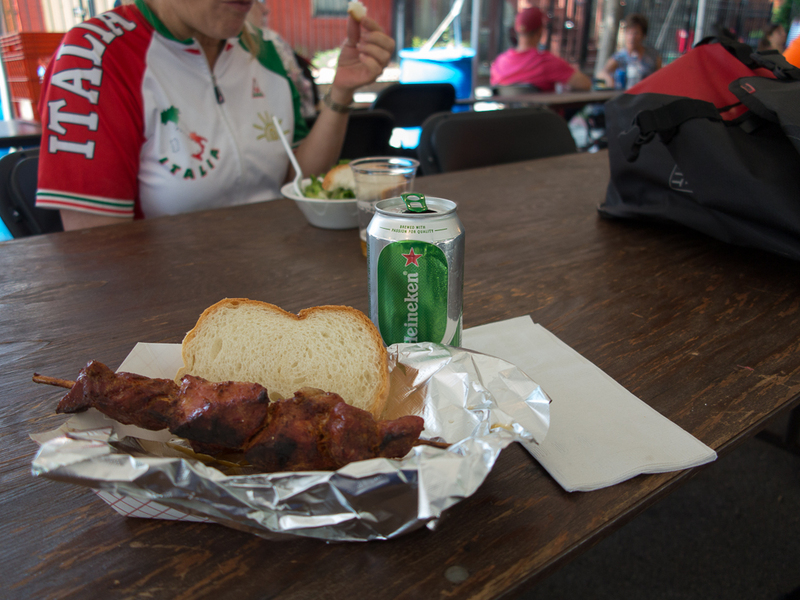 We finally made our decision of Heineken’s, kabobs, lamb, and fried dough and a shady table. Yes, we’ll do it again next year. Hopefully the weather will be as picture perfect. July 19, 2014 Jeff B. 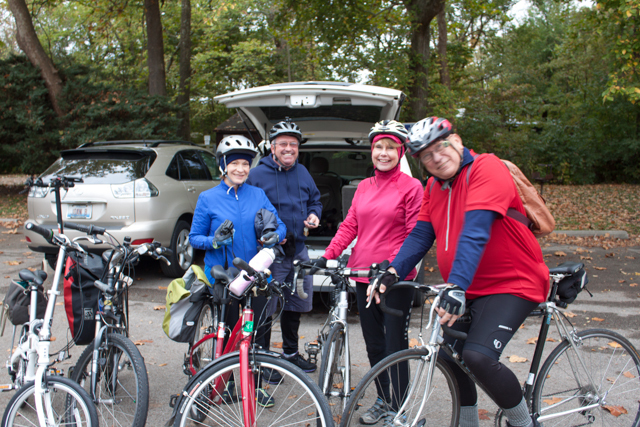 For the second time, the Senior Cycling and Gourmet Club did the remote Fox River Ride. 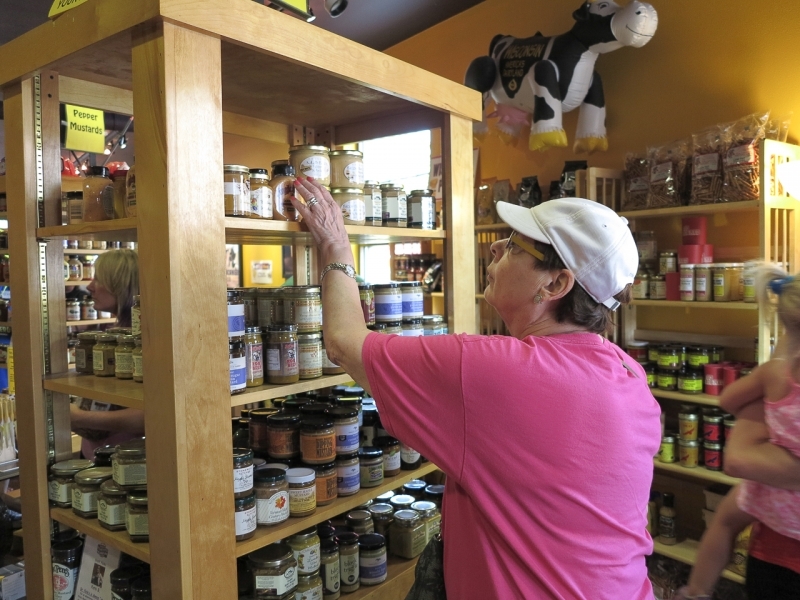 Taking the train from Union Station to downtown Elgin, we follow the Fox River downstream to Aurora with sight seeing stops in St. Charles, lunch at Atwater’s in Geneva, and a final push to Aurora for a train ride back to Union Station. At least that’s what is supposed to happen in theory. 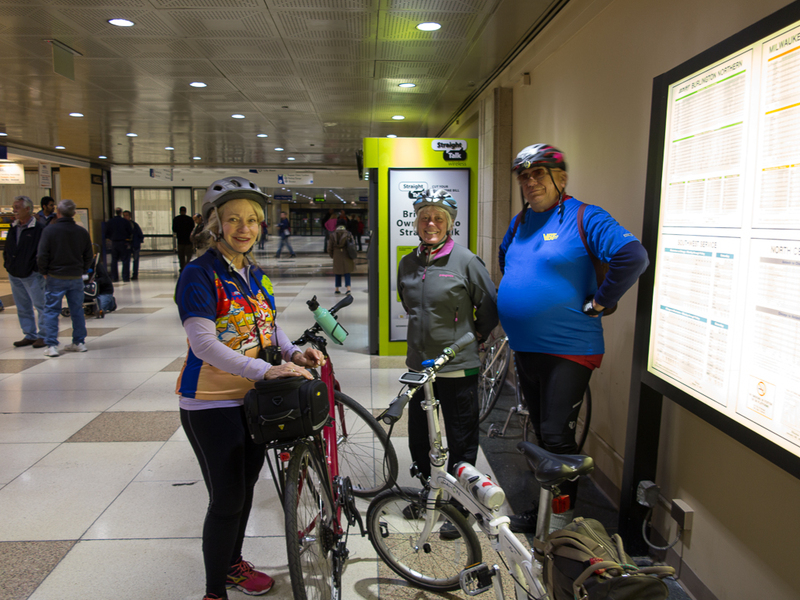 The total route is just over 23 miles depending on side excursions. Although it is a net downhill ride, there are two relatively “breath taking” climbs before the lunch stop. 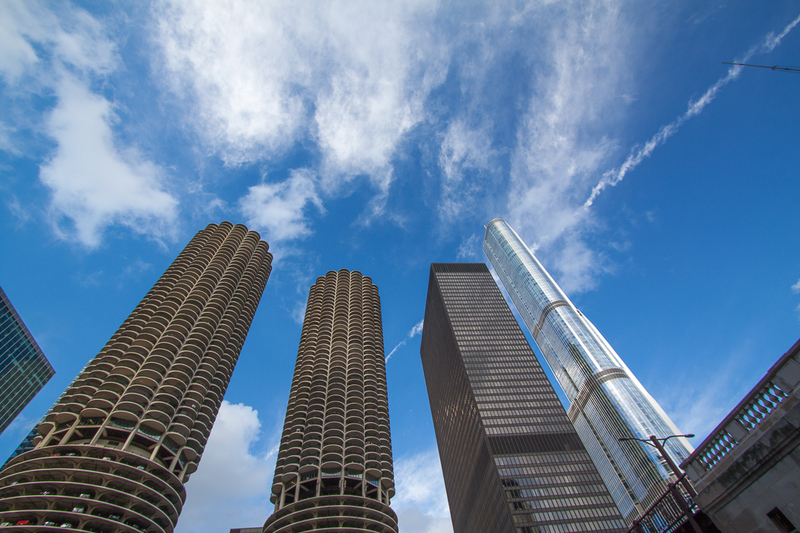 Despite a few clouds and a chilly start, it turned out to be a beautiful day for a ride along the Fox River. As usual it was a bit slow for a start with the array of biological stops and band aid applications. The part of the path that washed out a while back has not been repaired, so we followed another portion of a trail and a few local streets before picking up the trail again near the Railroad Museum. My new Garmin GPS seemed to be working. 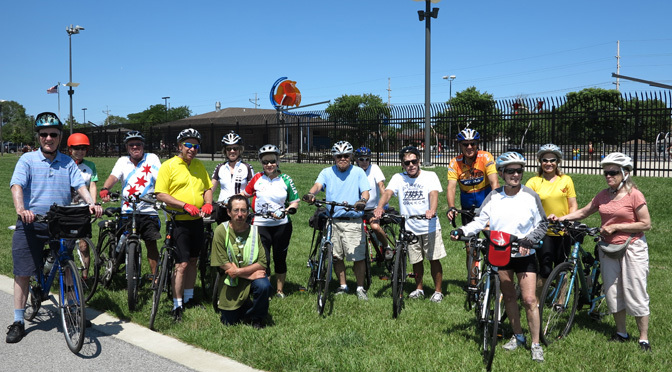 Group photos in St. Charles and lunch at Atwater’s in Geneva at noon and everything seemed to be working ok. We had detoured around the washed out path and successfully rejoined the route and made it to Geneva. After lunch I hurriedly left so that I would be able to take a few photos on the final leg to Aurora. My GPS was new and I was inexperienced in using it to navigate. It seemed a bit off so I re-entered the routing to go from “Current Location” to “Aurora METRA.” Little did I know that “Current Location” was a generic name for the location where I was when a certain obscure button on the device was pressed several days earlier at DuSable Harbor in Chicago, not Geneva, Illinois as I mistakenly assumed. Yes, we would get to Aurora METRA but first the GPS wanted me to get to the Current Location, a long, long ways east of our real current location. Thankfully some better minds prevailed and we asked for directions. The good news is that we changed what was a 23 mile ramble into a 35 mile cardiovascular exercise. The hydration stop before heading back to Chicago was all that more satisfying. July 10, 2014 Jeff B. 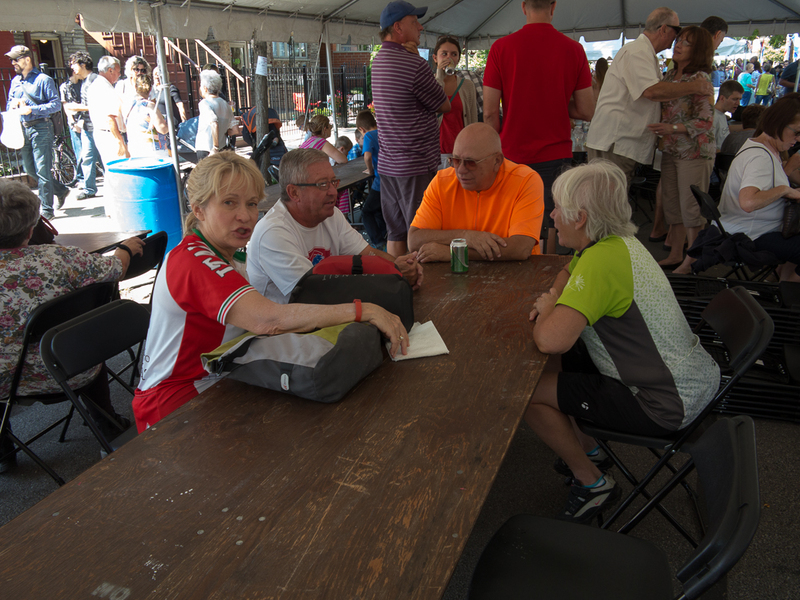 “The members of the Senior Cycling and Gourmet Club are revolting,” said Mitch, group organizer. 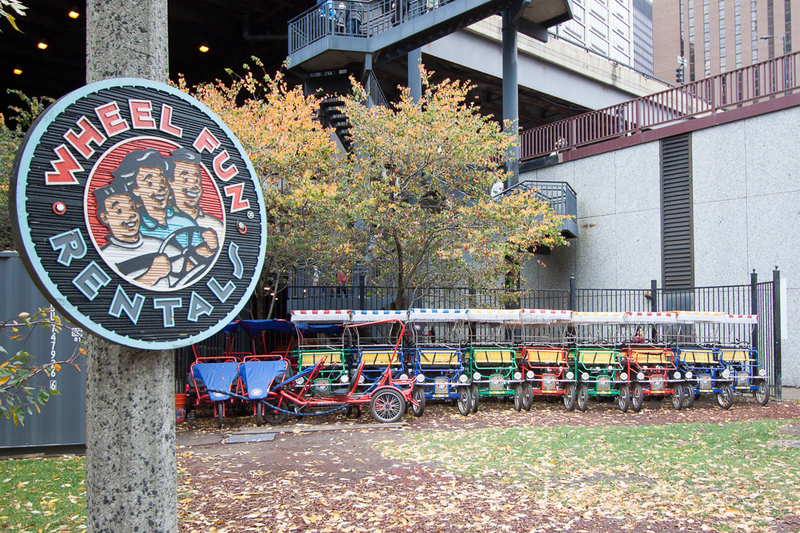 “They want to do more remote rides and stay off the Lakefront Path,” he added, clearly reflecting on the difficulties of rides that require advance planning and may not pass the “Cantonese Restaurants of Quality” test — the Gold standard. 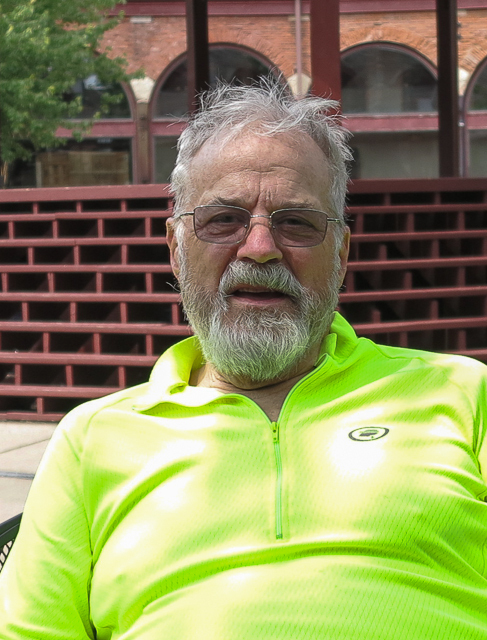 Don Uram, a long-time member of the group stepped up to the plate with an ideal ride: Along the Lake, but starting much further south than we normally adventure as an entire group. 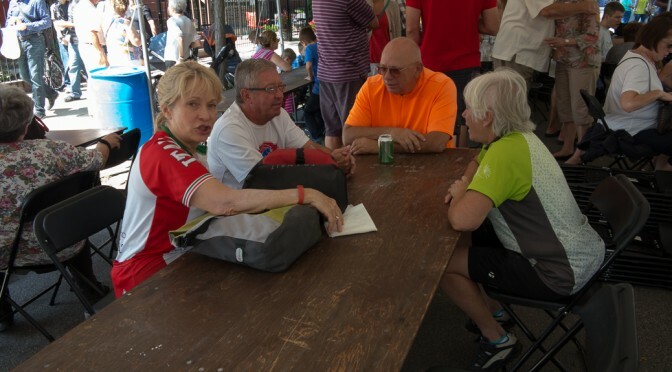 On July 10, 2014, we gathered at 79th Street and South Shore Drive, the site of the number 6 CTA bus turnaround and, more importantly for us elderly pensioners living off of our accumulated savings from a lifetime of toil, free parking. We were all there and positioned to start on time at 10:30 am, except for Mitch that is. We were all a flummoxed trying to figure out what bridge and how lost was Mitch, when what to our wondering eyes appeared an automobile with two bicycles precariously fastened to the roof. It was Mitch. The roadway where we parked evidently looks like a bridge from a distance. Many of us with our aging eyesight can empathize with confusing a new roadway framed against a blue sky as a bridge to nowhere in particular. Once off loaded and ready to roll we peddled through the newly opened LSD extension on the former USS works. With just a few city streets at Skyway Dogs and a pair of entrepreneurs with grocery carts filled with interesting goods, we meandered through the parks, where it was not only time for a biological break, but perhaps one of the few non-porta-potty locations until our final destination. It was also a nice spot to have a flat tire, what with the facilities, a wooded park location, and view of Lake Michigan. Thirty minutes later we re-engaged our bicycle sojourn taking a portion of the Greenway and passing along the east side of Wolf Lake where we followed local streets (119th and Clark) for our designated nourishment and hydration break. At Beggar’s Pizza, where no food is served before it’s time, especially if the perch aren’t biting the menu states “Pizza orders take 40 minutes.” What was missing was the qualifying statement that all other orders take longer. It’s a rather short ride that can be punctuated by long periods of punctured tires that inflates the time and enduring waits for food while hydrating with 4% Labatt’s Blue. They refused to sell us a pitcher of 9% Lagunitas IPA — a good idea in retrospect. We doubled back on our return with a slight diversion to the newly constructed Beach Park, this time without incident. 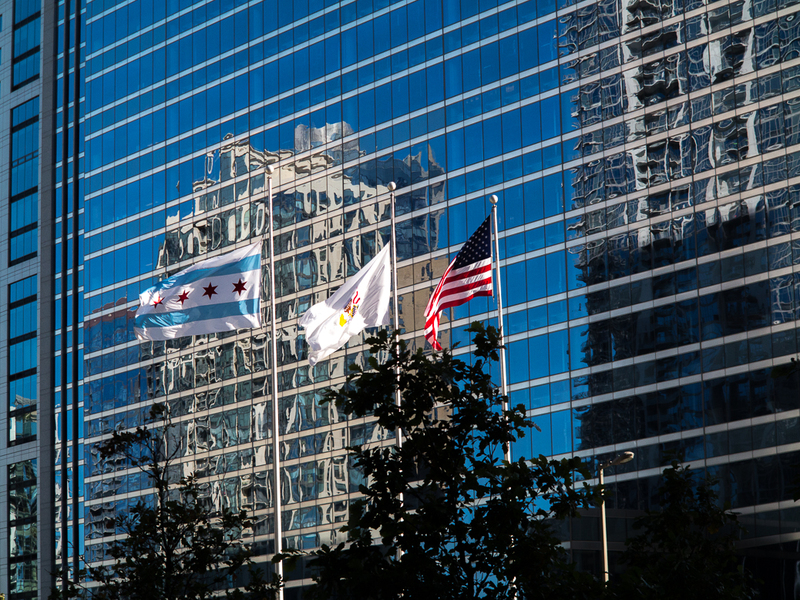 From our 79th Street and South Shore Drive location some packed their cars, others rode back to the City. 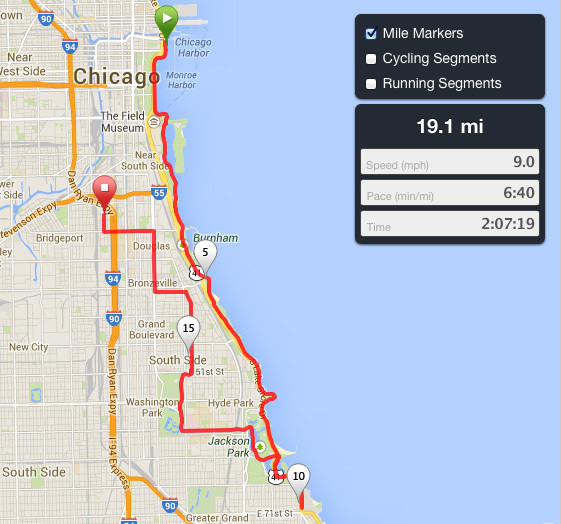 Whiting — a great day for a ride. Pierogi Fest here we come! July 8, 2014 Jeff B. 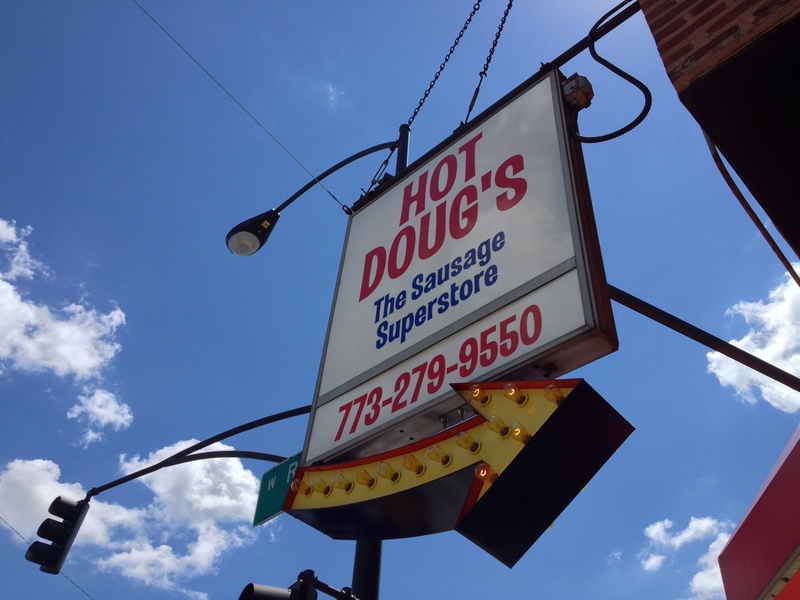 When it was announced that Hot Doug’s would close on October 3, 2014, I figured it was time to go back at least one more time. 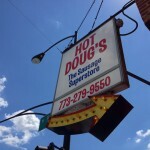 The Chicago Style Hot Dogs are to be found everywhere, but Doug’s is famous for its Duck Fat Fries (Fridays and Saturdays only) and a number of specialty sausages that are not easily found. 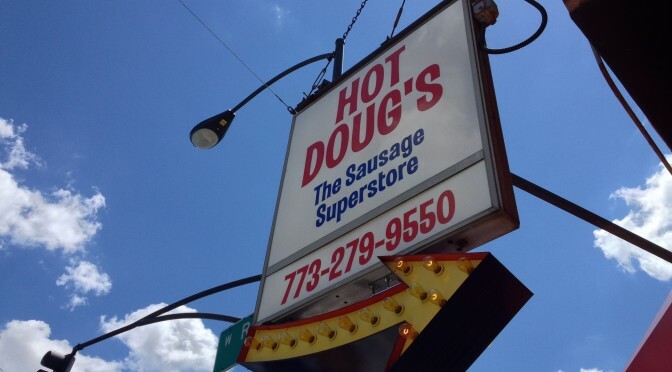 I do a ride that goes by Doug’s but the line often stretches around the block. Mid center of the block is one hour, so it always looked like a 2 hour wait — not my choice. But today was different. I had to do the ride with the hope that the line would only be one hour or less. 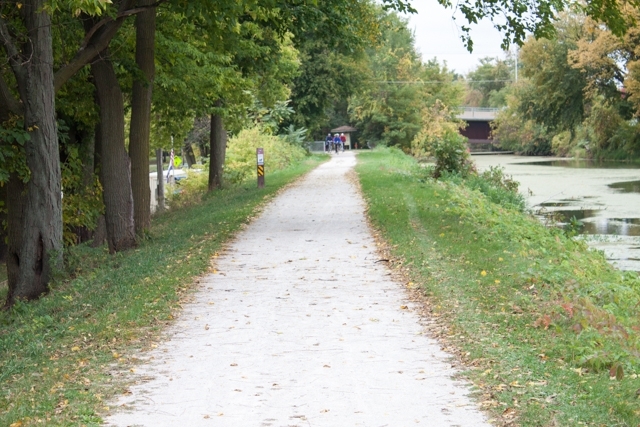 Heading north on the Lakefront Path, west on Granville, the Channel Trail south, Lawrence Avenue west, Manor and California south to Hot Doug’s — about 15 miles. I got a good start and got there about noon. 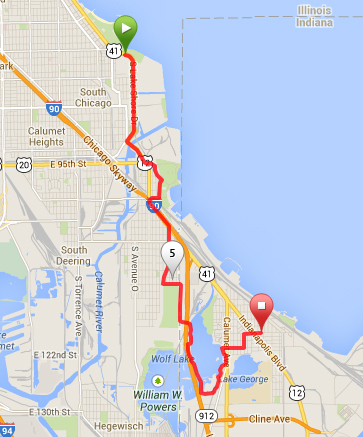 It was a slow, leisurely ride home along Elston Avenue.